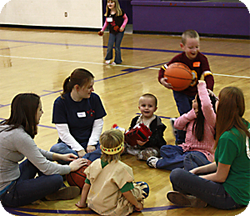 Sidekicks is a respite care program designed for children and adults with special needs. Typically developing siblings are also welcome to join our events. Our group meets the third Friday evening of each month for a themed activity that includes snacks, crafts, games and lots of fun. 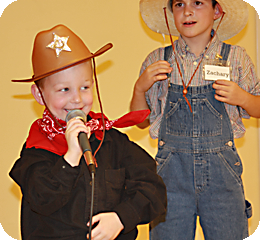 Some of our past themes include: Luau, Movie Night, Talent Show, Pool Party, Thanksgiving Banquet and many others. 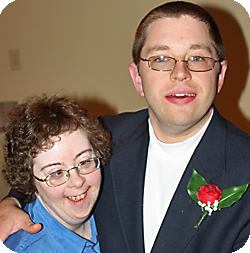 Special events that take place annually include a Prom for teens and adults with disabilities in the spring and Vacation Bible School (VBS) classes in the summer. 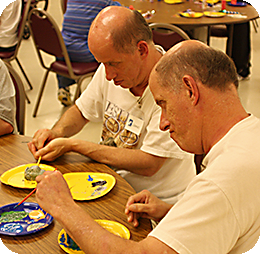 VBS classes are provided for teens and adults with disabilities and children with disabilities participate in their peer group with additional assistance when needed. Sidekicks events are staffed by volunteers from all walks of life. All events are free to participants. Please click here to register a participant online. Becoming a Sidekicks volunteer will change your life. 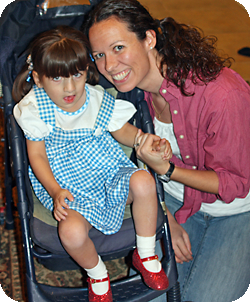 You will have the opportunity to build relationships with children and adults with disabilities and their families. You will discover new things about yourself as you go along the journey. Your horizons will be expanded as you get to know people with different abilities than you. Be prepared for the surprise of how much you learn from the participants! Please click here to become a Sidekicks volunteer.